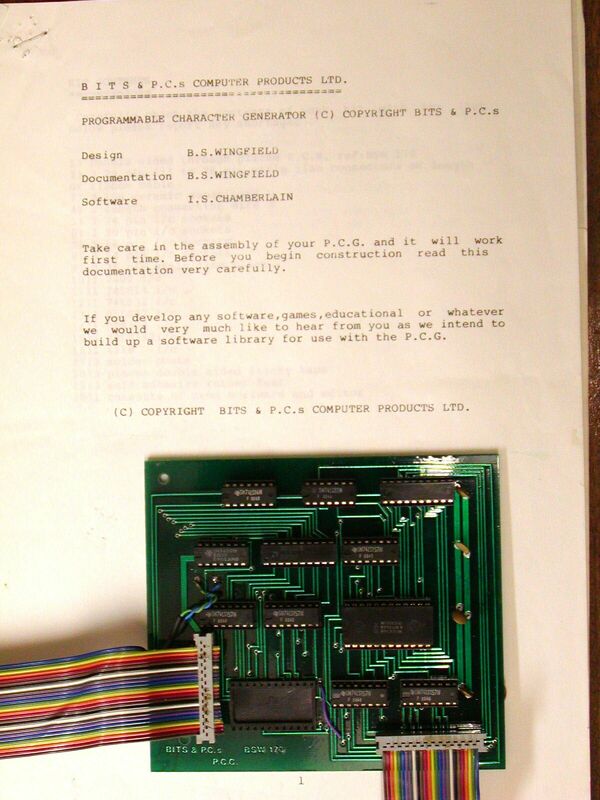 By BITS & P.C.s, this little board added programmable characters to either the Nascom 1 or the Nascom 2. The existing character generator ROM was moved onto this board , then the board was plugged into the ROM’s socket. Also on the board was a RAM chip, which could be programmed via the PIO on the Nascom and switched in instead of the original ROM. This sounds so crude now, but at the time even this was far better than the standard graphics! It was also much more affordable than the proper graphic systems and became reasonably popular.